No One Does Gymnasium Flooring Better! 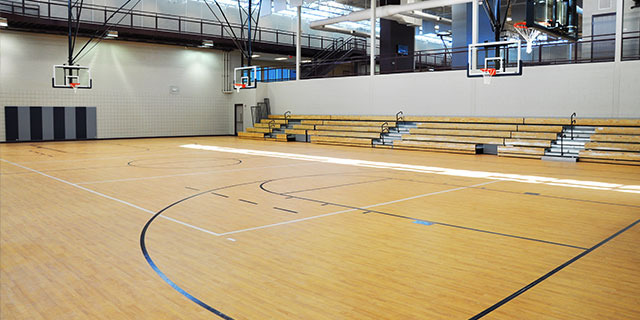 C&C Courts INC is a leader in local gymnasium flooring installations. 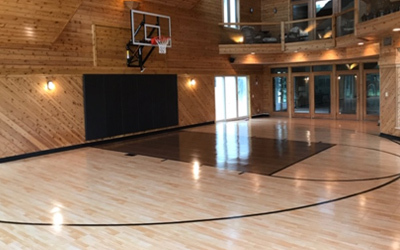 Our versatile lineup of athletic floor options can solve just about any demands of both the residential Gymnasium to the University field house! 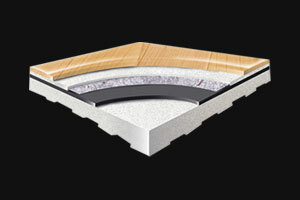 We sell and install only the finest products that meet or standards of excellence. If you have been searching for a company that can take the entire project on to complete the space we can do that! Just a few of those options include: Athletic Flooring, Weight room flooring, Wall Padding, Acoustic Panels, Climbing Walls, Wall Mount Hoops, Volleyball poles and Nets, Batting Cages, Lighting and Golf dead Nets. No job is too big or too small, we are your full service athletic source. 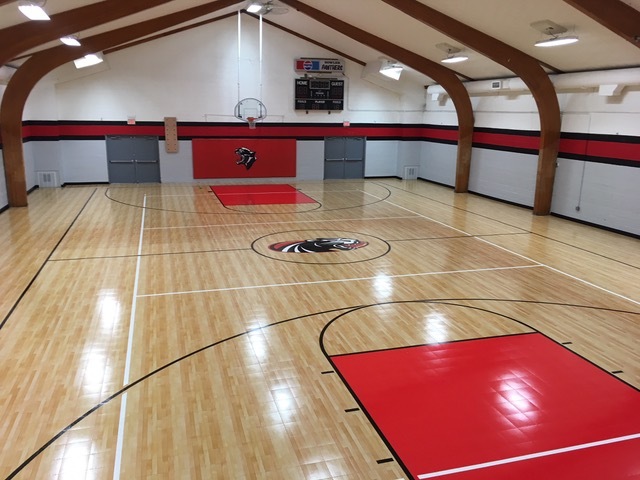 Gymnasium construction has been a part of our expertise for over 30 years, you deserve to get the best advice and a custom recommendation for what Gymnasium floor is right for your needs, we listen and give you the best solutions for a long lasting and successful installation of your athletic needs. Give us a call today and discover our expertise! The characteristics of Omnisports makes it ideal for basketball, volleyball, martial arts, yoga, and many other applications. The versatility of Omnisports goes beyond just sports; it can be used for conferences and assemblies for schools, universities, and community centers. PolyTurf Plus Pad & Pour is a seamless sports floor that is designed to withstand heavy bleachers, tables, and chairs with maximum durability. It provides a high-quality playing surface with shock absorption, precise game line markings, and stain resistance. There are numerous colors & shock pads to choose from. Tarkett Sports’ Dropzone rubber flooring is the industry standard for weight rooms. These flooring options can absorb the impact of weights as well as withstand heavy traffic and exercise. They are ideal solutions for weight rooms, exercise rooms, or fitness flooring. One of the most versatile, affordable athletic flooring options around. The options are amazing of what we can offer, from event flooring to permanent installations. 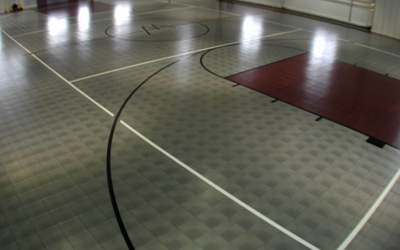 Sport Court flooring is a great investment in a long last, high performance surface. There is a reason so many Division 1 & 2 schools chose Sport Court than any other athletic surface. The safe floor that provides some amazing custom options others just cannot offer. Let’s face it, it is hard to beat the look of a wood floor in a gym. The issue is all the costs involved, from temperature control, moisture control, yearly maintenance and the list goes on. Maple Select gives you the look of a wood floor in a modular, easy to care for athletic floor. A high performing floor for middle and secondary school gyms, this surface has a hardwood look without the hardwood cost. 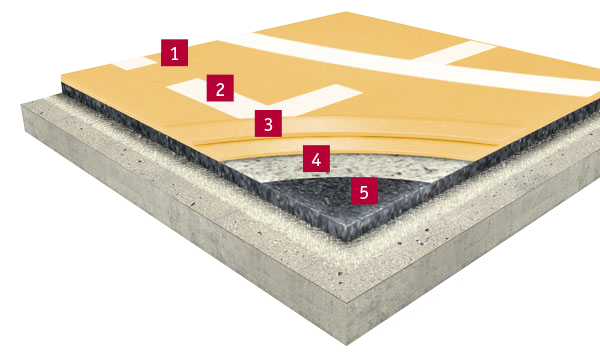 ResponseMaple™ can be retrofitted over most existing surfaces, including VCT/VAT and concrete, and requires no adhesive or anchors. This floor is the most popular in our lineup and for good reason. Let us show you how we can save you thousands and still give you a great looking, high performing safe floor. 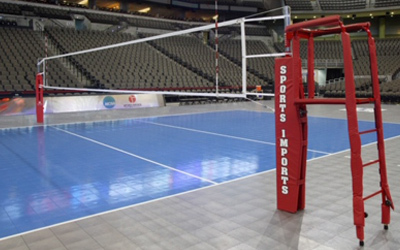 Perfect for school gyms, churches, and multi-purpose facilities, this floor is the choice for USA Volleyball and the NCAA Division I Volleyball Championships. We like to call this floor our workhorse floor, it can take a beating and still outperform many other floors. It truly is a multi-use facilities perfect floor. Consider this, our athletic flooring lineup can be custom tailored with just the right amount of shock absorption your needs demand with a variety of underlayments available. Defense™, which was originally designed to provide a superior skating experience for roller hockey, is now our entry level athletic floor that is affordable and yet provides a superior and safe performance floor. With over 20 colors to choose from, we can custom design the look and feel you desire for your athletic needs. 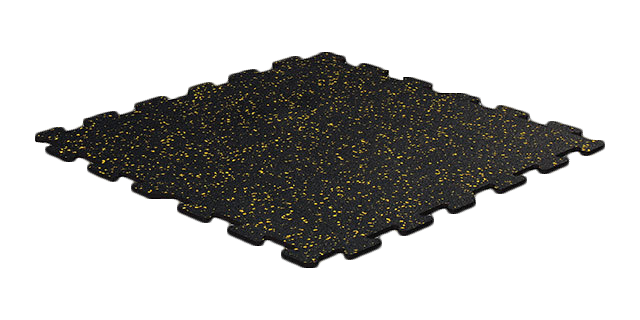 This affordable floor can be used for a wide range of activities in elementary schools, rec centers, other multi-purpose facilities, churches, yoga rooms, exercise rooms at your home and more!